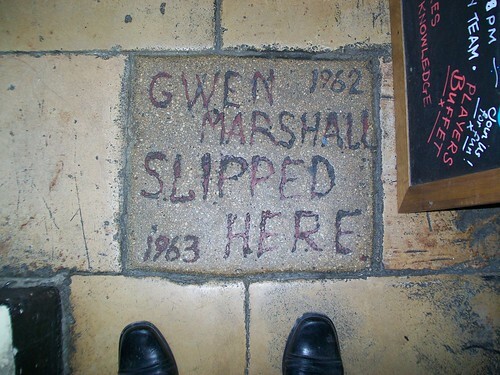 Gwen Slipped Here, originally uploaded by Alan Perryman. Spotted in a quiet country pub this weekend. Ooh, shiny!, originally uploaded by Alan Perryman. 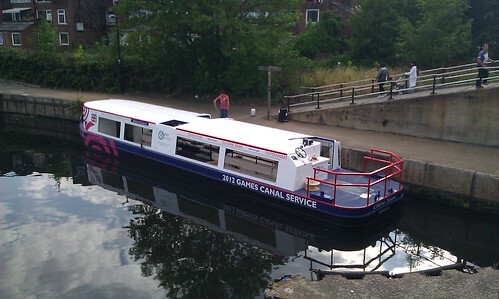 Looks like there’ll be a boat service to the Olympic park in 2012 – very shiny! 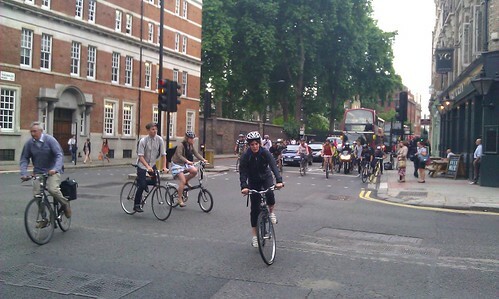 So many bikes, originally uploaded by Alan Perryman. waiting on EACH cycle of the lights! Going retro, originally uploaded by Alan Perryman. 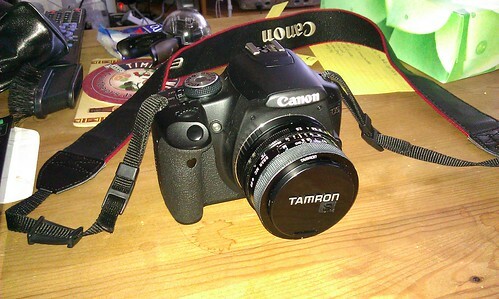 Lens adapter has arrived for the 1970s lenses my Grandma has lent me. Seems to work – going to force me to use proper manual mode.